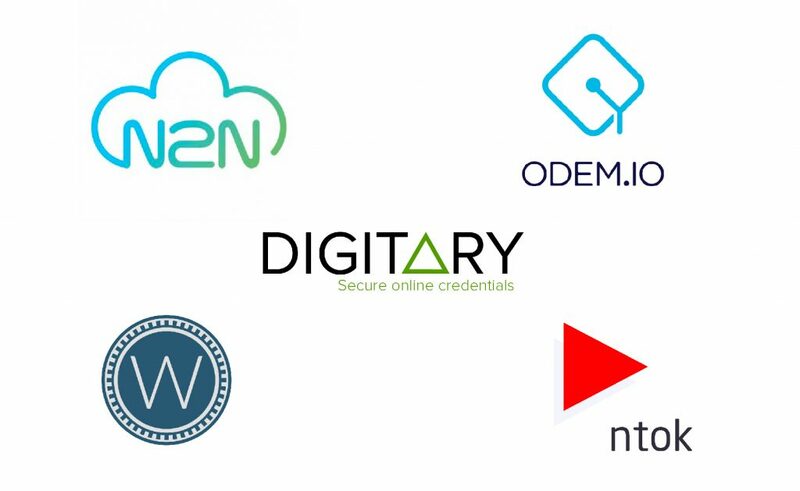 22 Blockchain Development Companies Shaking Up The World - Ignite Ltd.
Blockchain is all the rage these days in the tech world. However, ask the average person if they can define “distributed ledger”, let alone list any blockchain companies, and they’ll be scratching their head in confusion. This is quite a shame, as the blockchain market is forecast to grow to $2.3 billion by 2021. Studying up on blockchain trends and learning the players in the industry can give you a stronger understanding of the technology, granting you an advantage in our modern, high-tech society. The blockchain industry is exploding, with new startups popping up every day. However, there are particular companies to keep your eye on. What Industries Are Blockchain Companies Working In? Let’s start out with one of the most critical industries: healthcare. As the population ages and baby boomers retire, healthcare will continue to grow in importance as an industry. Plenty of opportunity has opened up for blockchain development companies in this growing space, whether for healthcare solutions or the advancement of medicine. This pharmaceutical giant has decided to invest some of its resources into the world of blockchain through a partnership with another company, Aimedis. The partnership’s main interest is to create a better method for monitoring the effects of prescribed drugs on patients. Pfizer and Aimedis are hoping that by using advanced blockchain technology, they can improve patient health through more advanced monitoring and improved sharing of data. On the forefront of medical science is the study of genetics. By obtaining a deeper understanding of genetics, researchers can identify the root cause of various diseases and research cures. Sequencing genomes is a costly process, however. Fortunately, Nebula Genomics has taken it upon themselves to develop blockchain solutions that will make it cheaper for healthcare consumers to obtain data about their own genome. This way, they can more fully understand their genetic heritage and address their own diseases. Plus, the decentralized nature of the blockchain will ensure safe collection and protection of sensitive genetic data. In the healthcare system, there tends to be a problem with data being scattered among many different systems. Fortunately, a European blockchain startup called Iryo has decided to address these concerns. Only a few years old, Iryo’s mission is to unify all this scattered data using the blockchain. Iryo is working hard to enable safe and secure data storage so that patients don’t have to worry about their medical data being hacked. Patients will also be able to share medical data from any location securely, increasing efficiency in the industry. Although they dabble in a few industries, the California-based Chronicled is developing unique supply chain solutions for the pharma supply chain. Leveraging the power of the Internet of Things (IoT), Chronicled hopes to reduce costs, increase tracking abilities, and streamline the supply chain for the pharma industry. Patients will once again benefit from improved security that the blockchain provides. In addition to their blockchain work, Chronicled is partnering with the MediLedger Project. The MediLedger project aims to eliminate the threat of fake drugs from making it into the hands of unaware consumers. This will be done through keeping records on the blockchain. Every day, more people are becoming conscious about their health. A critical part of health is the food we eat. A growing number of consumers are beginning to care about where their food comes from and how it was grown/made. The biggest company currently developing blockchain solutions for the food industry is IBM. IBM has been around for over 100 years, albeit under a different name for the first decade of its existence. Since 1911, they have been spearheading global innovations in technology. Today, that tradition continues with their blockchain efforts. Before discussing their contributions to the food industry, let’s take a look at IBM’s unique Blockchain as a Service solution. IBM has developed a “Blockchain as a Service” platform that is based off the concept of Software as a Service (SaaS). This was done in an effort to make blockchain more manageable and accessible to companies that wanted to use it. A customer pays IBM to set up the blockchain technology and handle all of the complex technical tasks required to maintain the blockchain. Outsourcing all of the blockchain management to IBM allows the client company to focus on using the blockchain to their advantage, rather than wasting time and money working on backend tasks. In addition to their BaaS product, IBM has their hands in multiple industries, developing blockchain solutions for existing issues in each respective industry. 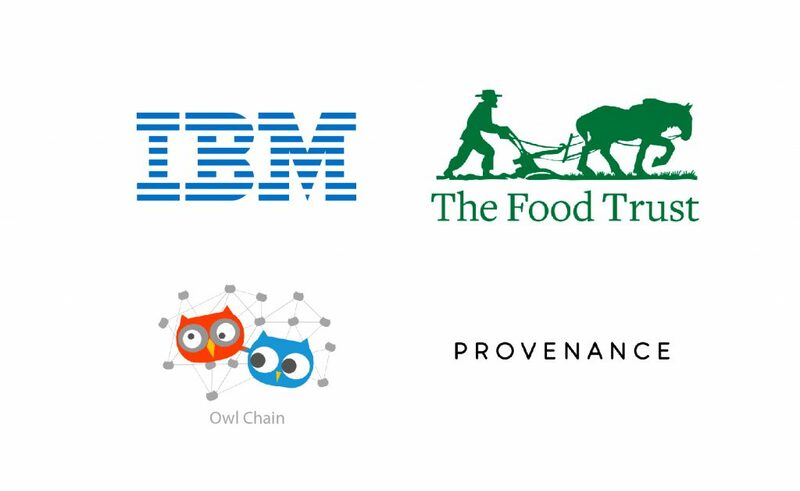 One of their most notable IBM blockchain projects is IBM Food Trust. As the population grows and becomes more health-conscious, food transparency will continue to increase in importance. You already see this trend in everyday life: think of all the hype about organic food and buying locally. People want to be sure that the food they eat was ethically sourced and is relatively free of toxins. Banking and finance is a touchy industry because of its reputation for fraud and ethically questionable behaviors. Examples of this include Enron, Worldcom, the 2008 financial/housing crisis, and more. After the financial scandals of the early 2000’s (Enron, Tyco, Worldcom, etc.) proper accounting for publicly-traded companies vastly increased in importance. Accenture (formerly the business/tech consulting arm of the now defunct Arthur Andersen public accounting firm) is fighting every day to further reduce fraud and abuse in financial services. The firm is developing solutions to cut out 3rd parties and middlemen in investment banking, as well as boost efficiency and strengthen data security. 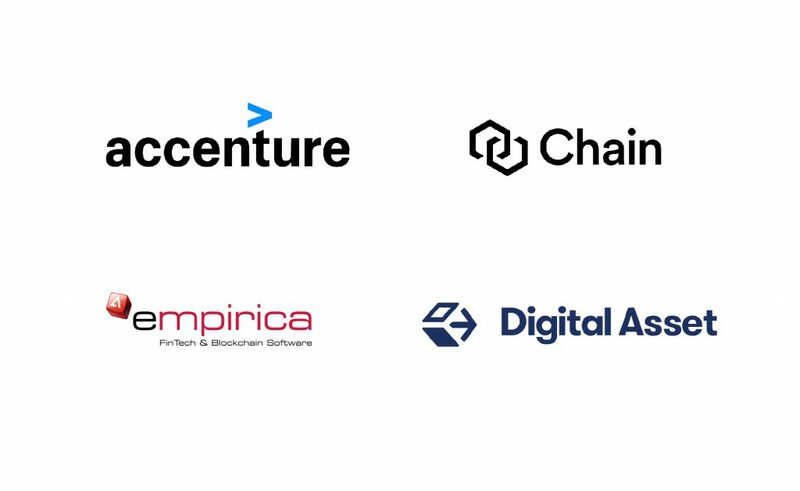 Accenture has also formed an alliance with Digital Asset (below) to help implement blockchain technology into large financial institutions. Chain Inc’s signature product is Sequence, a Ledger-as-a-Service. Similar to IBM’s BaaS, Chain’s LaaS allows the company to focus on growing their business without needing to spend time and money maintaining the ledger. Rather than looking towards Wall Street, Empirica has set its eyes on Fintech startups. After all, they are a Fintech company themselves. In the Fintech startup field, Empirica is acting like a coach. They’ve seen it all before, so their hope is that they can make it easier for other companies like them to thrive. Raising over $100 million, Digital Asset is up and coming in the blockchain development industry. Digital Asset’s focus is on increasing security in the sharing of data. Using distributed ledger technology, the need to reconcile data between various market actors is virtually eliminated. Data redundancy is reduced, while transparency is increased. They are working with Accenture to implement this technology in global financial institutions. Real estate is a complicated industry for the individuals involved. There are many steps throughout the process of purchasing real estate the can increase costs and lead to negative events, such as fraud. Blockchain solutions focused on real estate are being developed by blockchain companies to make the process of buying and selling properties easier and fairer. ShelterZoom recognized the inefficiencies in the real estate market and jumped right in to solve them. This New York-based blockchain startup created a real-time real estate platform that improves the buying process by streamlining processes that took a long time before blockchain. 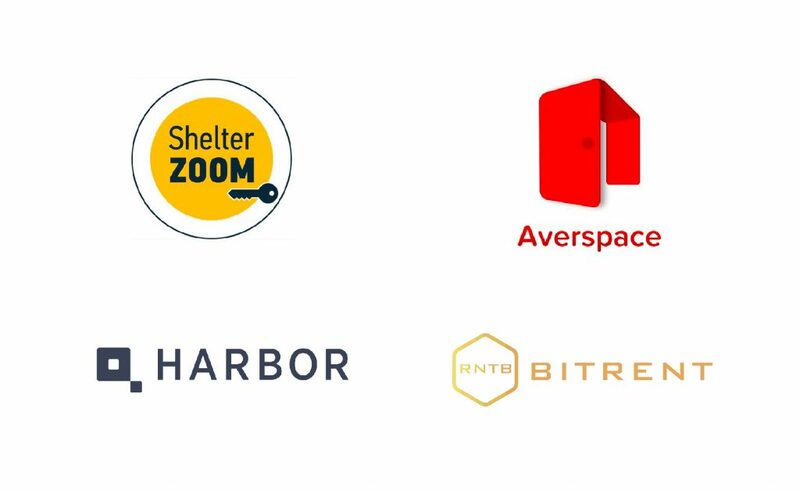 ShelterZoom has recently partnered with one of the top-performing RE/MAX teams to facilitate the spread of blockchain technology to the real estate industry. Real estate is quite a hard security to trade. Liquidity issues can appear if the local market is experiencing hardships, as opposed to a security like stocks that can be bought and sold relatively easily. To combat this trading difficulty, San Francisco-based blockchain startup Harbor is on a mission to tokenize real estate so that it can be traded more easily. Due to this tokenization, assets can be bundled into all kinds of different funds. In addition to the increased bundling of assets, the market experiences a huge liquidity increase. This is because people from around the world can access markets that they previously could not. Security is ensured because Harbor is working to comply with the SEC and disallows the sale of real estate tokens to non-accredited investors. Using the power of decentralization, BitRent is connecting investors and developers from around the globe, increasing opportunities for growth and investment. BitRent is especially interested in getting investors to put money into early-stage properties, so that they may profit later from rental income, asset appreciation, and sale. Smart contracts and RFID tags are a big part of BitRent’s process for real estate transactions. All the construction elements are RFID tagged so that data from construction can be input into the blockchain. The smart contracts track the data that RFID tags collect, making fulfillment of these contracts that much easier. Averspace is the first consumer to consumer blockchain company in Singapore. By connecting prospective tenants to landlords and property owners, all sides of the lease agreement save time and money. By using blockchain, the renter and the owner can draw up a digital contract and sign it when they agree upon the terms. Blockchain makes it easy to track security deposits and payments, as well as ensure that both parties are not violating their lease agreement. Users aren’t limited to rental properties on Averspace’s platform, either. Like many other real estate blockchain companies, their platform can be used to buy and sell properties. Although the Internet has made education stronger and more accessible than ever, there are still hundreds of thousands of people who can’t afford a proper education. Higher education institutions have a very important task: educating the population so that humanity can learn and grow. N2N is contributing to the noble cause of education by building a Platform as a Service so that all of a college/university’s systems can be integrated. Educational institutions typically have multiple software systems that need to communicate with each other. These systems serve the student, staff, and faculty populations that study/work at these institutions. By integrating all of the systems together, real-time observations about data usage can be made and decision making becomes much more informed. To catch higher education up with modern times, ODEM built an education marketplace that more efficiently connects students with qualified faculty. As with all blockchain solutions, time and money savings have been abundant as a result of this marketplace. In addition to blockchain technology, ODEM uses artificial intelligence to handle a lot of complex activity, including putting together educational programs. One huge potential result of a marketplace like this is increased competition in education. This will hopefully drive down the price of an education, making learning affordable to more people. An entire blockchain university? How is that even possible? Woolf is making it possible. Woolf is on track to be the very first fully-accredited blockchain university! Among many problems with the current education system is the issue of bureaucracy. With many graduation requirements and increasing tuition, students are having a hard time in school. Plus, all that bureaucracy comes with a high price tag for the students. Secure sensitive information belonging to students, staff, and faculty. Since the blockchain technology is borderless, students and teachers from anywhere in the world can connect with each other. This increase in exchange of ideas will surely lead to truly remarkable improvements in human knowledge. We’ve already seen the tokenization of things like real estate, but NTOK is looking to tokenize something less related to finance and business; education. NTOK’s platform was built to facilitate tutoring. In their own words, they are looking to “Tokenize Talent”. Simply use the NTOK platform and you can link up with a tutor from anywhere in the world. Rather than receiving cash, tutors can be paid using the system’s tokens. They can use their skills and knowledge to their advantage and earn money by tutoring students that are seeking out help on the platform. Both the student and the tutor benefits from using NTOK’s platform. Overall, this company looks to be empowering students and tutors to help each other out. Like it or not, credentialism is a big part of modern society. Millions upon millions of people around the world have assortments of degrees, diplomas, and certificates stating they are qualified to perform certain jobs. Digitary has made it their mission to provide a solution for quick verification of achievements and accolades like college degrees and trade certifications. Blockchain is the main tool in their arsenal. Using blockchain technology, digital versions of degrees, transcripts, certificates, and many other forms of academic documents can be issued and viewed securely. Educational institutions and employers are able to quickly and easily verify achievements by making use of Digitary’s education solution. Energy is a hot topic, especially in politics. To sustain such a large and growing global population for a long time, renewable energy is mandatory. Wielding the power of blockchain, companies are already developing solutions to make renewable energy affordable and accessible. The future is bright! Based in Australia, Power Ledger is looking to decentralize renewable energy purchases and sales. Power Ledger has created a platform that allows energy-users to choose where their electricity comes from. Households that create electricity can trade with neighbors that don’t create their own electricity, causing a win for both parties. Their mission is to make renewable energy clean and affordable for the people of the world. 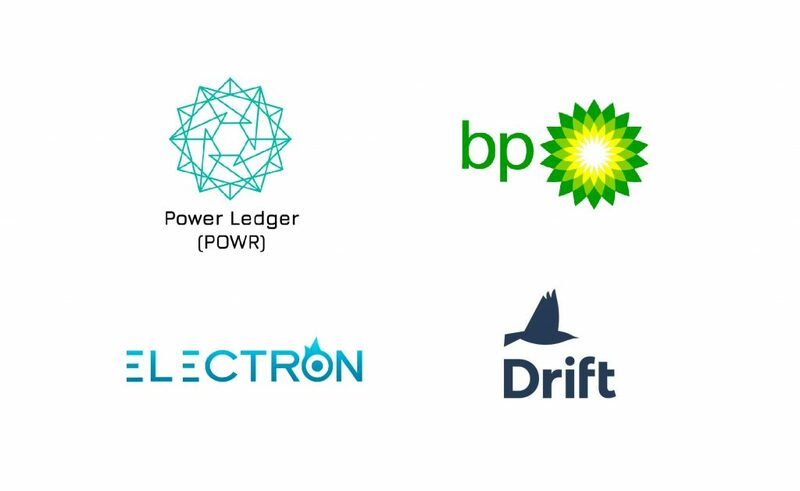 BP is working with other huge energy companies like Shell and Statoil to develop an energy commodity trading platform. Implementing platforms like these decreases costs in energy trading. The cost savings from using these decentralized, blockchain-powered trading platforms can be put towards further investment in renewable energy. Other benefits from a platform like BP’s include clarity of ownership of cargo and improved risk management. Electron’s mission is bold: they want to transform the energy infrastructure in the United Kingdom. Electron is working to develop the energy systems of the future so that we can transition to cleaner, more affordable energy. Various energy projects aiming to coordinate the energy resources in various communities to maximize value. Based in Seattle, Washington, Drift is leveraging new technologies to save money and assess energy usage. By combining the power of AI, machine learning, and the blockchain, Drift is working to predict customer energy consumption. This data will help them better assess customer energy usage. In addition, they are saving money by using the blockchain. The savings are passed on to their customers, making them a more attractive energy company to use. Blockchain may be one of humanity’s most important undertakings. As the power of blockchain continues to strengthen privacy, improve efficiency, and increase transparency, the whole economy will experience positive benefits. This is extra important as we face an uncertain future. 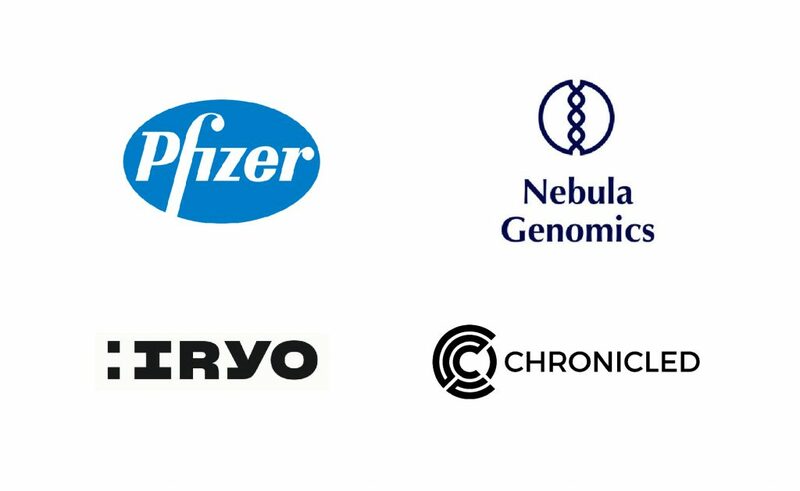 The companies listed here are each doing a small, yet important part to bring about a better quality of life for all.